Created with pure pink Himalayan Sea Salt. Considered the finest and purest salt in the world, found only at the base of the Himalayan Mountains. Purest due to the fact that it has never been exposed to pollution or environmental toxins. Super rich in minerals and natural nutrients. 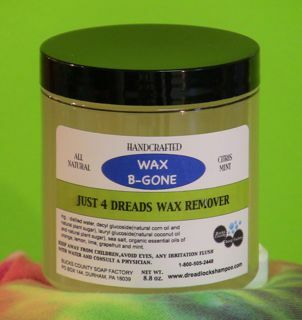 Our formula has been enriched with vitamins, Icelandic kelp, wheat, corn and soy protein along with an infusion of horsetail to strengthen your Dreads. Our goal is to accelerate the Dreading process in a healthy nourishing all natural way. Get ready to enjoy a day at the beach without the sand. 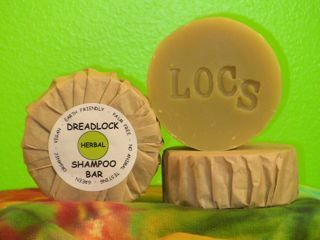 You will love it and your Dreads will too. 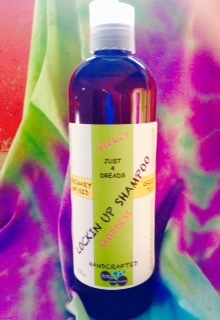 Directions: Spray anytime on damp or dry dreads, may re-apply, does not leave residue or buildup of any kind. This is a leave in product. This stuff freshens up my locks so good! 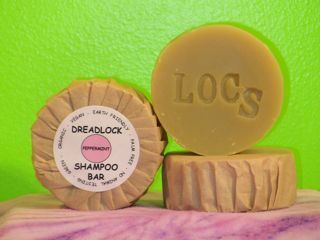 I get constant compliments on my dreads smelling so good, and it helps with the locking process.. I am beyond obsessed with this product! Im actually kinda worried that I use it too much but I cant stop! It smells so good and makes my babies feel so good. This is a must buy for me. I can't go without it. Another wonderful product that I am so pleased to have ordered. 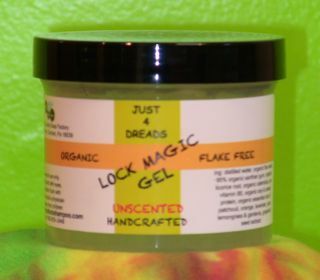 It smells wonderful, tames down and tightens up my baby dreads and leaves my hair feeling the same as it did before using it. No residue or stiffness at all. I'll definitely be reordering this, when it runs out. Thanks again Vicki, your products are awesome! I really enjoy using this Sea Salt Spray. the process, the smell, the easiness of it! i use it about 3-5 times a day now and i see great locking up progress without any itchiness or abrasive feeling to my hair/scalp. i bought a small sprayer for traveling purposes. and everytime i use it, people comment how good it smells. even if they are across the room. lol. i am almost done with my 1st bottle and just placed an order for two new ones. 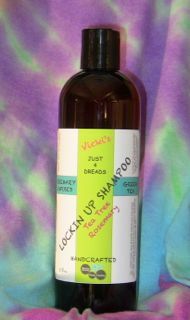 VICKI's stuff is legit and i am glad that i started my dread journey with her products -- that is such a blessing. And so is she!! My hair feels much more "dready" after 2 days of consecutive use. The smell is not really good or bad to me, but it is not like anything else I have ever smelled. I have sort of finer hair, and this product seems to be helping A LOT!! 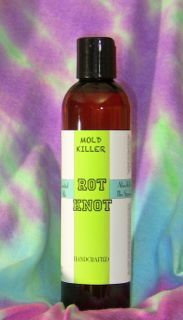 I love using this to "freshen" up my locks. It definitely helps with locking, but I mainly use it because it smells so darn good! I am pleased with my purchase. It smells great, and every time I spray it onto my hair, my hair starts locking up. It's awesome, gives my hair that feeling and look of when I get out of the water at the beach. After using the spray only 3 times, my straight & fine hair had a bit more texture to it, including plenty of new knots and even little loops. It smells great, too -- reminds me of the ocean air or fresh-cut grass with a hint of musk. I wish I had found this spray 6 months ago when I began to dread my hair! 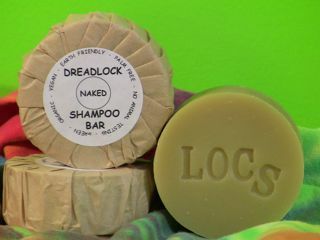 I'm going on 6 years with my locking journey and I've tried just about every product put there and none compare to dreadlockshampoo.com! This spray is one of my favorite products, I love the scent and the fact that is contains vitamins. Once i read that it's vitamin enriched with horsetail I knew it was for me. You will not be dissatisfied with this product or any product from this site for that matter!! My hair is pretty thin and this absolutely helps locking them up. 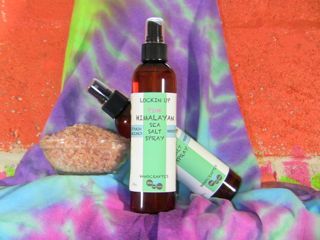 Unlike homemade salt sprays you can leave this in all day and overnight and it doesn't irritate your scalp and smells great! As with all the products I have purchased so far, super fast shipment and even better is the customer service. I asked a few questions and the response time is unbelievably fast and helpful. I love the smell, I could just sit and sniff the bottle. Absolutely FANTASTIC! I have hit a bump in my progress lately. Coming up on 7 months all natural and no joke after I used this ONE time my hair got super tangled up! The dreads I do have forming tightened and started looping like crazy! Thank you for this amazing product! It works WONDERFUL!!! After using this for a month I saw more progress in that month than in the first 6 months. Will be buying more! Absolutely FANTASTIC! I have hit a bump in my progress lately. Coming up on 7 months all natural and no joke after I used this ONE time my hair got super tangled up! The dreads I do have forming tightened and started looping like crazy! Thank you for this amazing product! It works WONDERFUL!! !